“Diana led ForestWorks through a very difficult transition period and has had to deal with some very challenging restructuring of the business in order to maintain our financial viability,” said ForestWorks’ Acting Chair Tony Price. 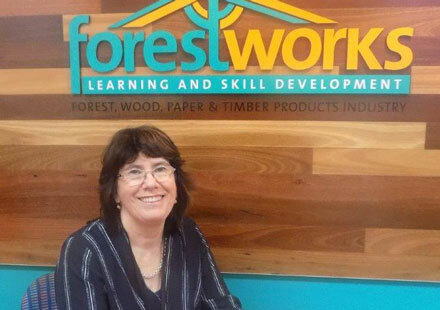 With the significant changes to the organisation of vocational training in Australia, ForestWorks has made massive operational changes under Diana’s leadership. “On behalf of the board I would like to thank Diana and wish her well in her future endeavours. “The forestry, wood products and pulp and paper industries have experienced a period of sustained economic growth. The industry’s workforce, their skills and qualifications remain a key element of the current and future prosperity of the entire industry. “ForestWorks has an important role to play in supporting the future of our industry and the training and education needs of the people who work in it. We remain focussed on this important mission,” Mr Price said. The board has put in place interim management support arrangements until a new general manager is appointed. With the 2019 federal election impending, and with industry looking to put its best foot forward in all key areas and with all major parties, the role of ForestWorks is crucial because skills and labour shortages are significant issues in the economy. The ForestWorks Board looks set to revise its operating strategy in the lead-up to the election and beyond that, as it strives to ensure the industry has the skills it needs for the future.